With summer months coming soon we have so much going on. 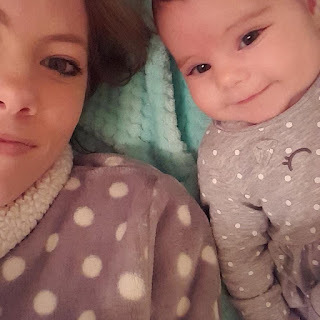 In June our daughter and granddaughter will be flying home for a visit. We have been wanting to get started on the Simply Classical program but we have decided to hold off until after their visit that way we don't end up getting into a good rhythm and grove and then get off track during their visit. So looking forward to getting to meet my grandbaby for the first time. Isn't she adorable? In the mean time we are doing our Around the World studies. We are just starting to learn about the continent of Africa. Some of the main highlights we will be learning about will be learning about Egypt, Kenya, Mount Kilimanjaro, Madagascar, Sahara Desert, the Serengeti grasslands, the Nile River, and learning some words and songs in Swahili. We will be spending at least a month on this, learning different countries in Africa and being able to locate them on the map, learning about animals of Africa, learning about mummies, King Tutankhamun, Hatshepsut, Ramesses II and so much more! Once we finish our studies of Africa we will make a little video about it and post it. There are days when I am frustrated with modern technology and wish for simpler times but even I will admit that I LOVE being able to just look things up online, find resources, art projects that support our learning, and just the wealth of knowledge that can so easily be found. 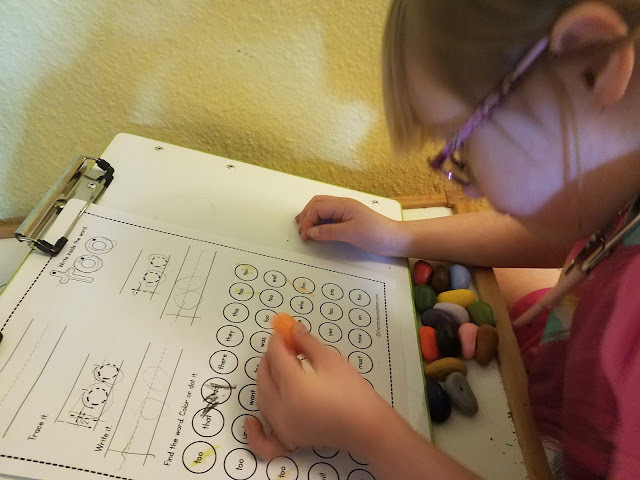 I love this slant board we got, it is really helping our kids who have weak fine motor skills to improve their handwriting. Daddy built this water table by adding some store bought storage containers to an old train table he had made a few years ago. We just popped the train table top off and put the containers in. It has been a big hit and a wonderful way for our sensory seekers to relax between lessons. Working on PT skills before seat work has been something we have noticed has really helped. We require the kids move around at least for 30 minutes to 1 hour before we do any sit down work. It has helped them stay focused longer. Sometimes we use tools such as the one above, and other times we turn on music and dance, or go outside and jump on the trampoline. Anything to get their bodies moving, their blood pumping, and their brains ready for learning. Our little guy struggles the most with his fine motor skills so we have found these great rock crayons. They are great for making him hold the crayons the correct way rather than the regular crayons that he tends to just fist. Another tool we have is therapy eggs. The pink egg is easier to squeeze and the blue one is harder. We have him do several squeezes in each hand and then switch to get his hand strength built up. Fun riding around together on their little bike. So nice to be able to sit outside and enjoy my beautiful flowers! I am a stay-at-home mom and have 10 wonderful children. Six of our children are adopted and have special needs. Homeschooling does not always look the same as it did for our kids without special needs, sometimes we have to get creative about how we are learning/teaching, but the important thing is that we are learning and growing together.